A 2-course meal in a friendly relaxed environment. Cost £4, including tea and coffee. 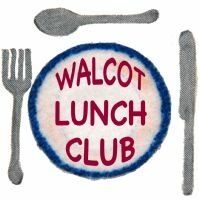 Lunch Club is held in the hall at Nexus Methodist Church at Walcot . The access is via the side door down the path at the left of the church as viewed from the front. Mondays during term-time. Coffee and tea are served from 11am - 12 noon and lunch is at 12.30pm. No 3 bus stops at the top of Walcot Street (Walcot Gate). Age UK transport is available for £4.00 return within Bath City Centre. See our Find Us page for a map and more directions. On some Mondays we have special events at 11.45am. Please arrive by 11.30am if you would like tea or coffee on these days. Cards & Board games are available on non-event days. If you attend regularly, you will be asked to provide a telephone number so that you can be contacted about the Lunch Club - for example, if we need to close due to bad weather. This information will be kept securely and will not be shared with any 3rd parties.